At noon today, a group of artists and activists including members of the Gulf Ultra Luxury Faction (known as G.U.L.F.) 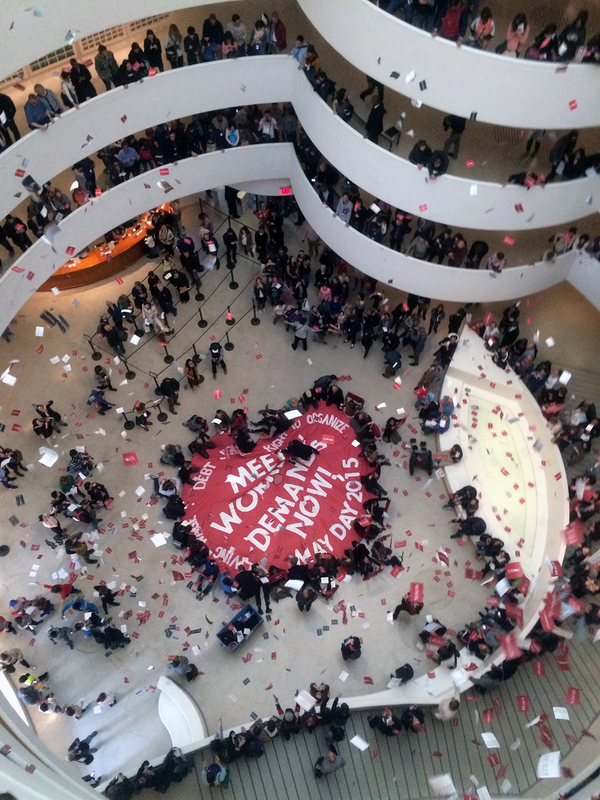 unfurled a large parachute in the atrium of the Guggenheim Museum, demanding to meet with a member of the institution’s board of trustees to discuss the labor conditions at its Abu Dhabi site. 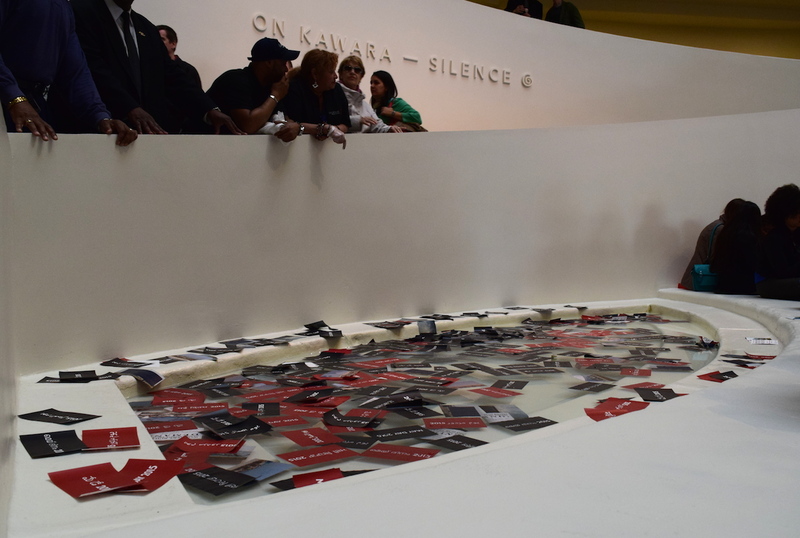 At the appointed time, members of the collective threw leaflets inspired by the current On Kawara exhibition from the museum’s upper levels and the protesters articulated their demands through a human microphone chant. 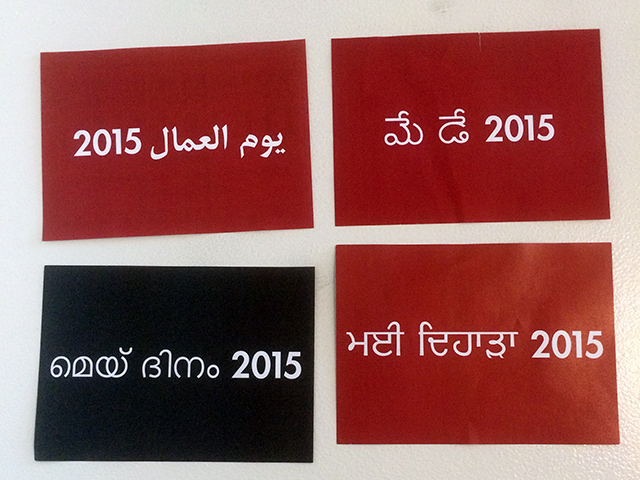 Some of the multilingual On Kawara-influenced flyers dropped in the Guggenheim atrium during today’s protest. 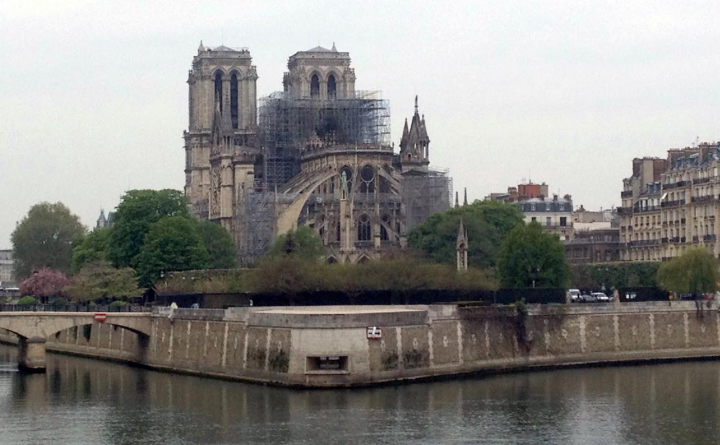 “It’s the most beautiful piece in the show,” remarked a French tourist watching from the top of the museum’s rotunda. I asked an older man visiting the museum if he knew what the protest was about, and he said: “I think it has something to do with treatment at a university.” Nearby, a Guggenheim employee was explaining to two visitors that “they’re protesting the museum’s expansion in Abu Dhabi.” Throughout the occupation, protesters explained the purpose of the demonstration to curious museum-goers. 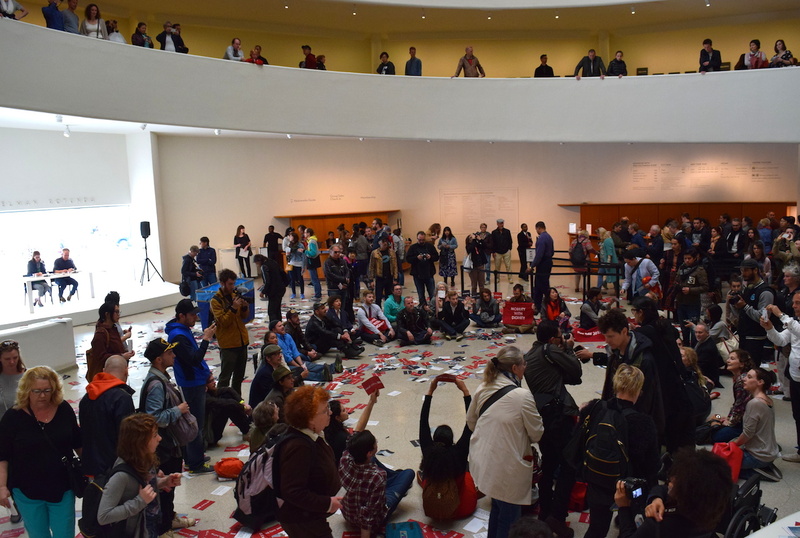 Though the protesters’ banner was swiftly destroyed by a guard wielding scissors, the group was allowed to remain seated in the museum atrium. As many as six NYPD officers arrived on the scene but, an hour after the protest began, they were called off by the museum administration. “The museum doesn’t want to arrest us,” Amin Husain, one of the organizers, told the group after consulting with NYPD officers. “The museum has communicated to us through the cops that we can stay in this number, but we can’t grow.” The announcement was met with cheers. After the parachute was confiscated, protesters still occupied the main level. While the museum has remained open since the protest began — no effort was made to clear the building — no new visitors have been admitted for over an hour now and a long line has formed outside the building. 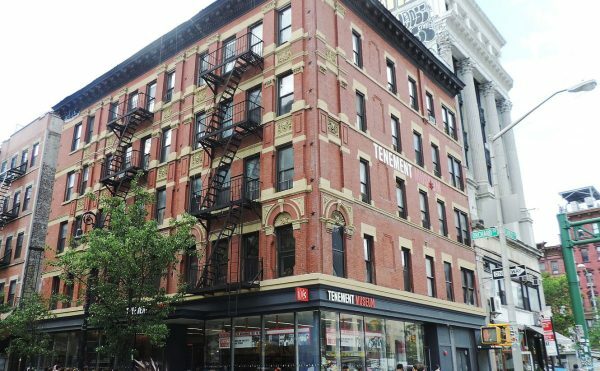 The Guggenheim has not acquiesced to the protestors’ demands by sending a trustee to meet them, but reportedly sent a deputy legal council to the museum from its offices on Hudson Street in Lower Manhattan. 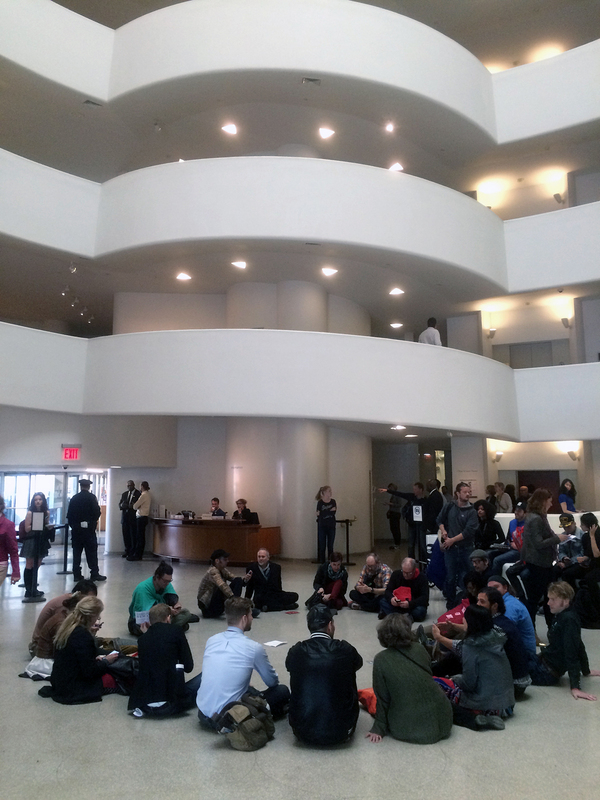 Protesters on the ground floor of the Guggenheim Museum. 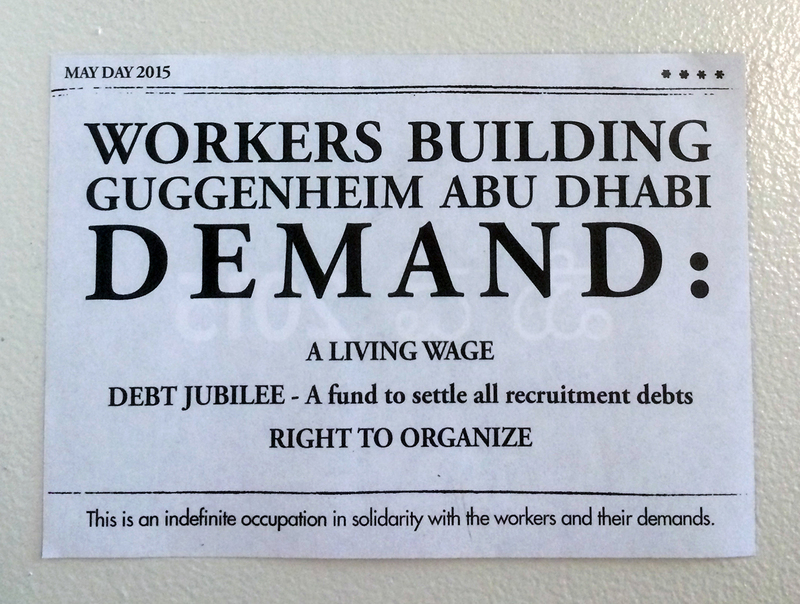 Today’s event is the latest in a series of actions that began in February 2014 at the Guggenheim Museum related to the labor issues at the museum’s Abu Dhabi franchise. 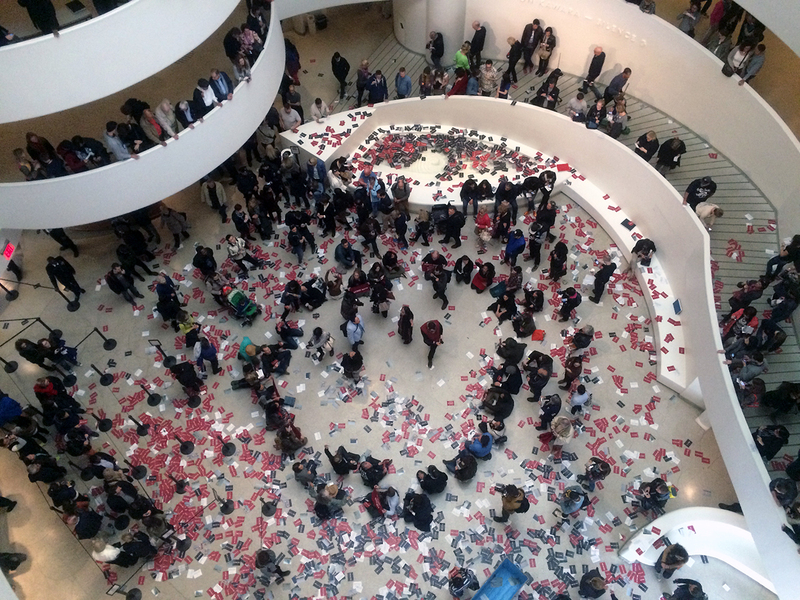 Protesters’ On Kawara-inspired leaflets floating in the Guggenheim Museum fountain. 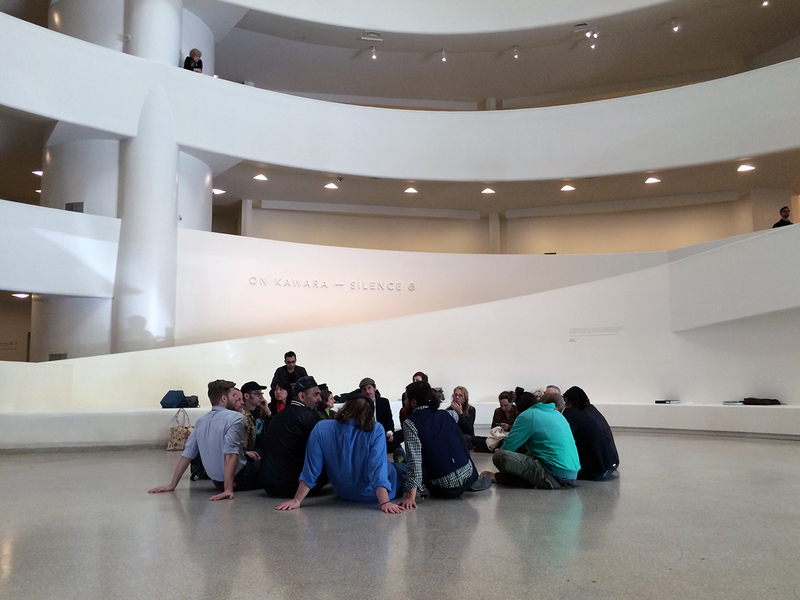 Update, 1:45pm ET: The One Million Years reading in the atrium of the Guggenheim — which invites volunteers to read years aloud — stopped when the occupation began at noon but resumed roughly 20 minutes later. And the occupying group’s specific demand is to meet with a Guggenheim trustee to discuss these points. Update, 2:20pm ET: The On Kawara reading stopped at 2pm. It’s unclear if the break was scheduled, or because of something else, like the readers not being able to get into the building. Update, 2:37pm ET: The museum has tweeted that it will close for the day, though there are still small scheduled group tours coming in. It appears that a lot of staff members have been sent home. Update, 2:55pm ET: Still about a dozen protesters outside the museum chanting “Listen up Guggenheim,” “Shut it Down,” and other messages, while they are holding up banners with the three demands. 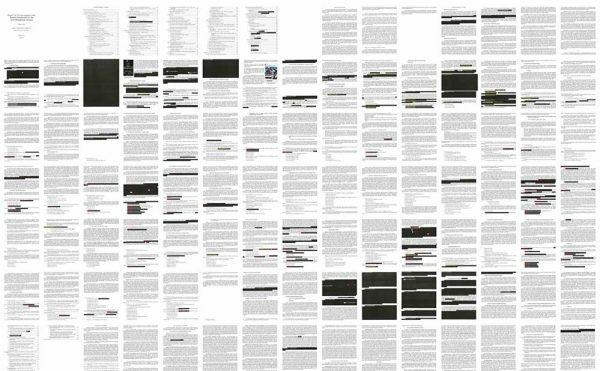 The On Kawara reading has also resumed. 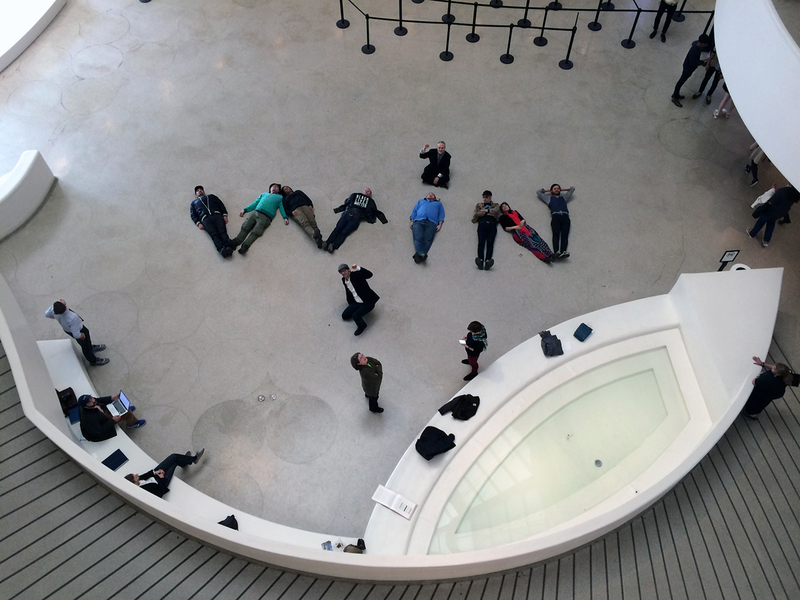 Update, 5:25pm ET: The 16 remaining members of the group that took over the lobby of the Guggenheim left the museum and gave a public declaration outside. Today we successfully occupied the museum with bodies and voices, inside and out. 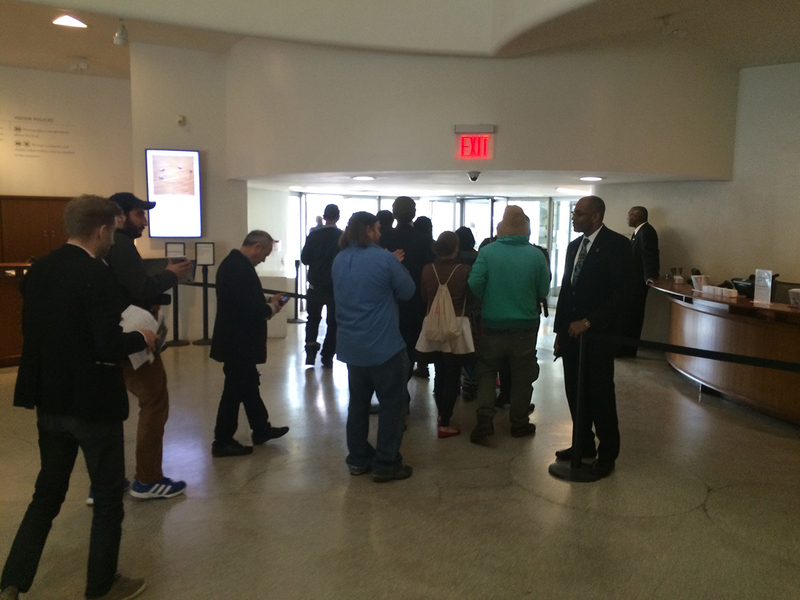 The Guggenheim authorities would rather shut down the museum for the day than talk to their critics. We didn’t come to shut the museum — we came to ask to attend a meeting with the Board of Trustees, and we hope that meeting happens soon. Today is International Workers’ Day. When workers in Abu Dhabi — who are not allowed to organize — go on strike, they may be arrested, beaten, and deported. We repeat the demands for a living wage, a debt jubilee, and the right to organize. We appreciate all the workers we spent time with. 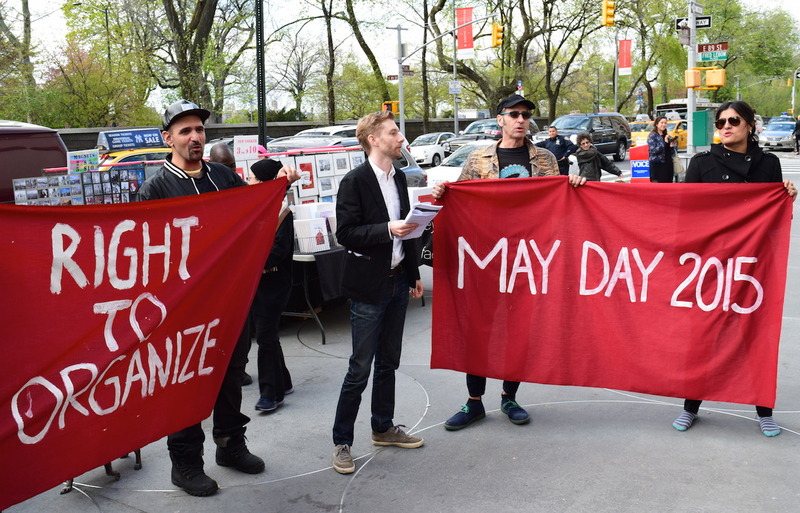 On this May Day, we also stand in solidarity with the struggles of workers everywhere, including the museum guards who make $11 an hour, and the groundskeepers who make $9 an hour, which is not a living wage in New York City. 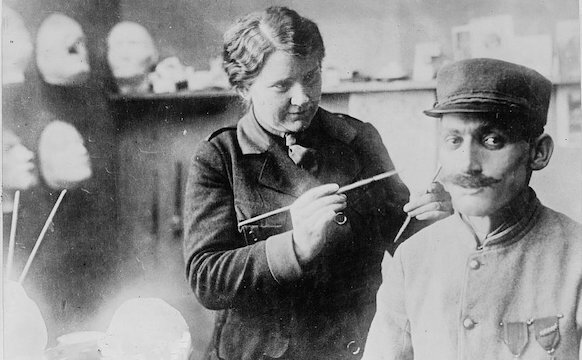 The art we brought with us was shared by all but then violently destroyed by the museum. We thank SASI (South Asian Solidarity Initiative), DRUM (Desis Rising Up and Moving), the Taxi Workers Alliance, the Guerrilla Girls, Mahina Movement, and our allies in the South Asian community who rallied in support outside. This is part of an ongoing campaign, with 52 weeks of actions to come. The museum’s disdain for the public and criticism will mean that this movement only grows. When the group left, it was met with 20 pizzas sent by art nonprofit Creative Time. 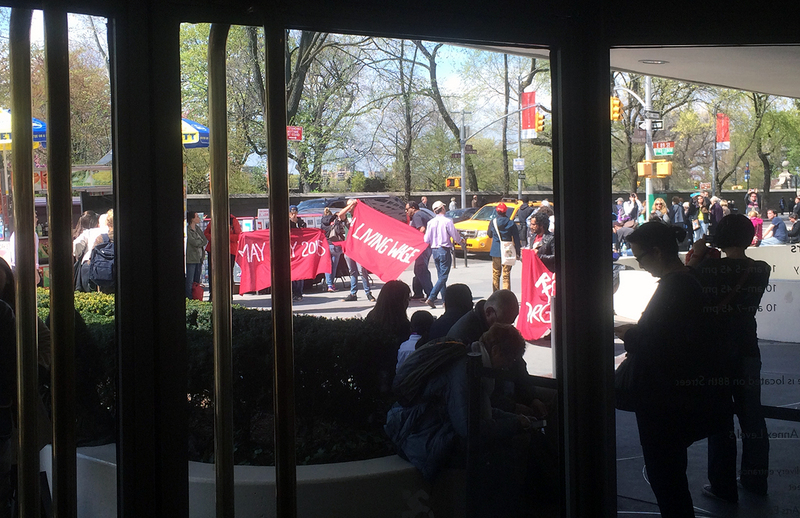 We are disappointed that the actions of today’s demonstrators forced the Solomon R. Guggenheim Museum to close its doors and turn away thousands of members of the public. We have met with representatives of the group behind today’s demonstration on several occasions and have tried to maintain open lines of communication. We share their concerns about worker welfare in the Gulf Region, but these kinds of disruptive activities run counter to our objective of building the cooperation and goodwill necessary to further change on an extremely complex geopolitical issue. Despite erroneous reports to the contrary, construction of the Guggenheim Abu Dhabi has not yet begun and a contractor has not yet been selected. In preparation for these milestones, the Guggenheim has been working with our partner, the Tourism Development & Investment Company (TDIC), and other authorities and stakeholders inside and outside of the UAE to continue to advance progress on conditions for workers. 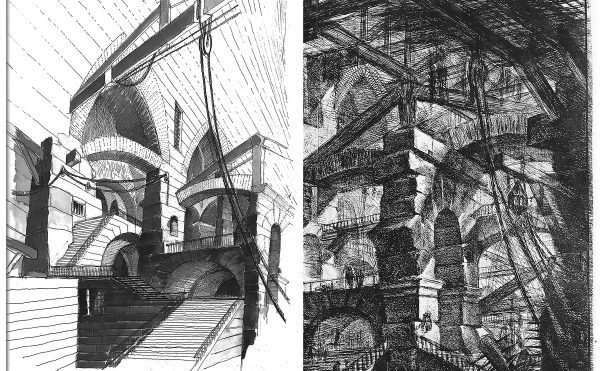 The Guggenheim seeks, as we have from the start, to advance meaningful and verifiable actions. This is evidenced by our continuing contributions to the TDIC Employment Practices Policy (EPP). Significant and documented progress has been made on a number of fronts, including worker accommodation, access to medical coverage, grievance procedures, and retention of passports. We believe the Guggenheim Abu Dhabi project presents an opportunity for a dynamic cultural exchange and to chart a more inclusive and expansive view of art history. These efforts at real action will take time to become a reality on the ground. We understand that this endeavor comes with great responsibility and we believe strongly in the transformative potential of the Guggenheim Abu Dhabi. Guerrilla GirlsGuggenheim Abu DhabiGuggenheim MuseumW.A.G.E.